Canon is a name synonymous with quality DSLR cameras and lenses. Their Canon 80D DSLR is no exception. It’s a solid mid-range product that’s loved by photographers the world over. This camera is especially well-liked among enthusiasts, online vloggers, and prosumers. My up-front guide takes a look at the 6 best lenses for Canon 80D from half a dozen categories. There are all kinds of reasons why you chose the 80D as your digital-SLR of choice. Maybe it was the 24.2-megapixel APS-C sensor, the DIGIC 6 processor, or its HD video capability. I love the Articulating Touch Screen Monitor and the impressive 45 cross-type multi-mode AF system. But, this puppy lures me toward it for a multitude of good reasons and I’m sure you’re the same. My top lens picks don’t all include Canon’s own range either. There’s a prime portrait lens from Sigma, an ultra-wide angle from Samyang, and an excellent macro AF from Tamron. For super-zoom, standard prime, and telephoto lenses I’ve gone with high-quality Canon optics. Whatever lens you need you’ll find something among these six picks that checks all your boxes. The reviews are short and not overly technical in nature which makes them an easy read. They are also non-biased – meaning I highlight any negatives for each lens as I find them, no holds barred. We all need a standard prime lens in the gadget bag. It’s the perfect lens for all kinds of day-to-day shooting conditions. 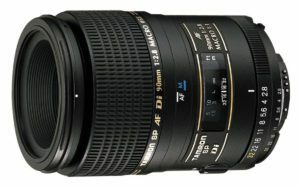 The fast Canon EF 50mm f/1.4 standard prime lens is an excellent choice. This is a brilliant standby lens for the Canon 80D. I find it ideal for taking those family portraits at a moment’s notice. It’s a good pet lens too and it works well for action and nature photography. You may think the cost is high for a standard prime lens but think on. This one sells like hotcakes and there are good reasons for that. As you read through the review you’ll get to make up your own mind. OK, let’s now look at what some users of the EF 50mm f/1.4 think about it. There’s plenty of praise for this standard prime lens among reviewers. Most of those who take the time to write about it comment on the solid build and quiet fast autofocus. No arguments on that front. The full-time manual focus is a welcome feature. It allows you to take over after AF is complete—if you need to. Manual focus tweaking becomes particularly useful when shooting in low light of close up. Other things you can expect from a lens in this class are amazing colors, sharp images, and beautiful bokeh at wide apertures. 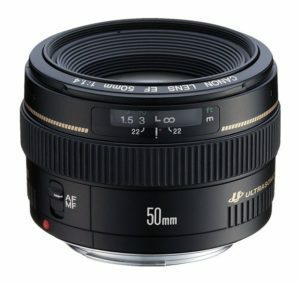 The Canon EF 50mm f/1.4 achieves all the above according to most users. A few photographers complain about the price. The funny thing is that most then go on to contradict themselves by saying it’s worth every penny. No image stabilization is another common gripe. It’s a short lens, lightweight (just 10.2 oz.) and it’s compact. When you mount it on the 80D the camera becomes smaller and much easier to carry around. This is a super-quiet lens. Silent AF is perfect for shooting wildlife and a major advantage when recording video with your Canon 80D. It’s fast too, and we all love a fast-focusing lens. Images are incredibly sharp in the f/4 to f/8 aperture range. They tend to soften a bit at the wider apertures, though, but not to the point where it becomes a major downside. If it’s beautiful bokeh you want that’s what you’ll get. There’s none of that ugly geometric look produced by some lenses. Almost everyone loves this lens’ creamy bokeh effect. The full-time manual focus (MF) is handy in dim light or for special effects photography. There’s no front element rotation with MF either so it’s perfect if you use a polarizing filter. I found the focus ring to be a bit “clumsy” for want of a better word. It’s not a major negative but it doesn’t have that liquid-smooth feel that you get on an L-series product. It wouldn’t cost Canon much to throw in a protective lens hood with their 50mm f/1.4 Standard Prime Lens. At this price, I think it should be a standard issue and would show that the company gave a toss. Yes, the price has to come up with the list of cons. I agree that it’s an exceptional lens and we have to pay for quality. Yet I can’t help think that Canon sometimes takes advantage of their loyal following. Image stabilization would also have been a nice addition. Still, IS doesn’t matter as much for small lightweight lenses as it does with heavier, bulkier optics so it’s a minor complaint. This is a good-looking, fast, and capable lens and my choice of 35mm. Lenses from the Sigma ART series have come a long way in recent years and give Canon’s L-series a good run for their money. There are plenty of image samples online that show the lens’ sharpness at a wide open f/1.4 aperture. By f/2.8, though, the results enter a new level with amazing colors, unrivaled sharpness, and contrast. I’d go as far to say that this puppy delivers on all fronts as a 35mm prime portrait lens. It’s got a nice feel to it, fast autofocus, and the smoothest creamiest bokeh imaginable for a lens in its class. It’s not easy for a third-party brand to beat the L-Series but I think Sigma has nailed it with this one. Reading real user reviews is what incited me to try the Sigma 35mm f/1.4 ART prime portrait lens. If people are not happy with something they’re never shy to air their views. There are very gripes here. Some reviewers own Canon equivalents to this lens. Many agree that it’s as good as—or even surpasses—what Canon has to offer in 35mm. The only moan is that it’s heavier than Canon’s 35 f/1.4. Don’t take my word for it. Those who have bought or rented this lens write things like it’s the best 35mm they’ve ever owned and how it blows the Canon rival away. Hundreds of glowing reviews and high star ratings say it all. Still, it’s always good to get a written perspective. And what floats one person’s boat doesn’t always mean it does the same for others. 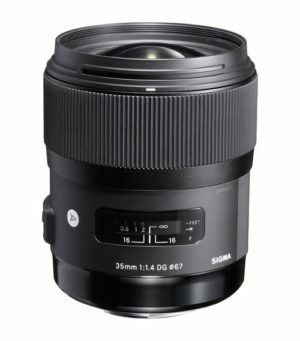 Sigma has come a long way with their ART line of lenses. The build of the 35mm f/1.4 ART is solid and weighty for a lens in its class. They’ve certainly paid a lot of attention to their optics. The sharpness is a testimony to the quality optics. There are plenty of uploaded portraits that show the attention to detail, especially around f/2. Sharpness is one of this product’s most talked about features. The Hyper Sonic Motor or HSM guarantees accurate, quiet, high-speed, autofocus (AF). The superior optical performance at close range is thanks largely to the floating inner focus system. We usually get what we pay for… right? It’s different In the case of the Sigma 35mm f/1.4 ART Prime Portrait. This is one of those rare situations where you get more than you could have hoped for, IMHO. At 23.5 oz. this lens is heavy for a prime 35mm. It’s one of the costs for quality materials and optics. It’s not an issue for most photographers but it’s niggling enough for some people to list as a con. In general, the autofocus is quiet and fast but may prove mediocre in low-light situations. It can be noisy to the point of distraction if it hunts for too long. It’s not a problem shared by everyone though. There’s some evidence of vignetting but it becomes less obvious as you stop down the aperture. It’s not a major concern for anyone who knows how to easily fix vignetting with imaging software. When I look for a new lens—any lens—it has to check at least three important boxes before I delve further. For me, that means a superior build quality, a nice look and feel, and razor-sharp images. This short review looks at a super-wide angle lens that gives a whole new perspective to creative photography. I like it for landscapes, close-ups of large objects, and for shooting in tight spaces. Samyang 14mm f/2.8 SY14M-C Ultra-Wide Angle got off to a great start. Its excellent form factor grabbed my attention still further. It was time to see how well it worked with the Canon D80. The lens has amazing optics for a third-party product. Image quality is pretty good at wide open apertures but it’s particularly sharp at around f/5.6 to f/8. And I do mean Sharp—with a capital S.
The manual focus will put some of you off but it doesn’t take long to get used to. The only gripe with it is that there’s a long turn from close focus to infinity but it’s a minor setback all things considered. Most people who buy this lens have no regrets at all. In fact, one thing a lot of reviewers delight in is that they didn’t spend mega bucks on a brand lens equivalent. All kinds of photographers write glowing reviews about the Samyang 14mm f/2.8. This includes night sky shooters (astrophotography), landscape photographers, and those into architecture. The smooth operating manual focus ring gets a lot of praise but there are warnings. Focusing via the viewfinder and magnified LiveView can be fiddly for the inexperienced. I can understand this as there’s no focus confirmation indicators or beeps. I also came across a couple of complaints from reviewers with poor eyesight. Therefore, manual focus is not ideal for all people. The vast majority of user reviews have something to say about the amazing sharpness. There are a few reports of a little mustache distortion but most say it’s easy to correct using imaging software. The word “solid” is an important one when it comes to choosing a quality lens for your Canon 80D. Well, the Samyang 14mm f/2.8 ultra-wide angle has a solid feel to it and sports a sound aperture ring. The built-in petal hood is a nice touch that offers some protection and shading. That last point results in richer colors with deeper saturation. It’s not all good, though, as the cons section illustrates. Lens makers create various optical systems for different models. The optics of the SY14M-C ultra-wide angle provides maximum clarity for a lens in this class. It’s something users praise a lot. This lens would be nothing without its consistent sharpness. Those who own one talk about the sharpness more than any other feature. It’s what all photographers look for in a lens. Although this is a manual-only focus lens it provides an incredibly smooth experience. It doesn’t take long to get used to the manual focus but it’s not to everyone’s liking. It’s all-manual, meaning there are no electronic beeps or indicators to guide you. You need good eyesight too. The Samyang’s infinity focus can be tricky, to say the least. The infinity mark on the lens doesn’t seem all that accurate. That means you have to find its correct spot and then remember it. Another issue is the evidence of some darker areas or vignetting around the outer edges. It’s more of an issue with full-frame cameras though, so it’s less of a concern with our Canon 80D here. The petal or tulip hood is a welcome addition to this lens but it’s built-in. There may be occasions when the hood causes lens shadow, particularly with flash photography. I love the Tamron AF 90mm f/2.8 Di SP A/M 1:1 first and foremost as a macro lens. But I also like it because it’s versatile and works great as a portrait lens among other things. The lens produces nice quality images and blurs backgrounds with impressive beauty. I first tried the macro with butterflies resting on leaves and flowers under hazy sunlight. The results blew me away. This is a serious contender as a non-stock lens for the Canon 80D. The only time you really notice any difference in quality is if you blow the images right up and compared them side by side. My only real gripe for an affordable macro like this is that it would benefit from quieter autofocus. This would be particularly useful for close-up wildlife shots like flying insects. 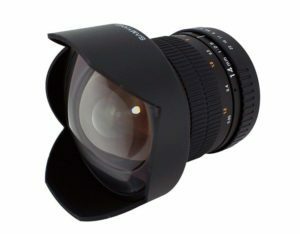 It’s a lens that sells well and enjoys plenty of positive reviews. This alone tells us half of what we need to know. It might not be the first choice of professionals but fussy enthusiastic amateurs just love it. Most reviewers agree that the pros for this macro well outweigh any cons (see below). I’ve read through many reviews and there’s a lot of shared likes with things like stunning bokeh and rich colors. The ease-of-use, lightweight, large focus ring, and affordable price are other plusses. A few more include the standard 55mm filter size, internal focusing, fast f/2.8 aperture, and 12-month warranty. There’s also the sharpness of course; something that can make or break any lens. The major complaint is about the noisy and rather slow (hunting) autofocus. Not having any kind of waterproofing is another disappointment among all-weather photographers. This lens is tack sharp. It has good contrast and shows no obvious aberrations. Sharpness and nice colors are its most talked about advantages. The bokeh created by the Tamron AF 90mm f/2.8 Macro is the stuff of dreams. There are plenty of photos uploaded to illustrate its beautiful bokeh effect. The color rendition is also worth a mention. It’s something you can really appreciate with close up work. It also comes into its own with skin tones in portraiture. The internal focusing (IF) keeps the front elements still. That’s good news when using polarizing filters. IF also prevents front lens elements from hitting close-up subjects during macro shoots. This macro lens comes with its own lens cap and lens hood. The hood’s not always necessary because of the recessed glass. It’s still nice to have, and there’ll be times when it does come in handy. I would say this is a perfect macro lens—for the money. But its affordability does mean there’s going to be a few drawbacks. The biggest of these is the noisy autofocus which I pointed out in my intro. There’s AF also has a tendency to hunt on occasions and I wasn’t able to work out any pattern for this. The Tamron AF 90mm f/2.8 Macro is light, and that’s a good thing. Its plasticky feel, though, is not. I can only assume the absence of any weatherproofing is to keep costs down. Alas, you won’t want to venture out on a shoot if it’s raining or even drizzling. This is one area it loses out to brand lenses. It’s certainly a flexible piece of glass. It boasts exceptional image sharpness aided by the built-in image stabilization. The USM ensures fast and silent focusing which is not something all products can boast. I particularly like the adjustable ring that lets you loosen or tighten the zoom tension for personal comfort. It may seem like a gimmick but it can make a serious difference on long shoots. There’s also a slider arrangement for the lens hood. This allows you to adjust a polarizing filter without the need to remove the hood. Again, it’s a small touch but one that can make a big difference. The Canon EF 100-400mm f/4.5 telephoto zoom lens impressed the socks off me. Now let’s see what other photographers have to say about it. Canon’s EF 100-400mm telephoto zoom has the highest ratings of all the lenses on this page. Many reviewers agree that it’s an amazing travel lens for landscapes, portraits, and street photography. People write about how the light weight makes it an easy lens to carry and manipulate. It’s perfect for following moving subjects and the ideal weight to make it stable for handheld photography. There are some complaints that it’s hard to use without a tripod support. I disagree. These complaints are most likely from smaller people with tiny hands. There are far heavier bulkier alternatives to this. You’ll come across plenty of adjectives in reviews like awesome, brilliant, outstanding, and exceptional. It’s all of those things—and more besides—though not everyone is in agreement. As I read through the reviews I couldn’t find anyone complaining about the high price tag of this lens. On the contrary, there are plenty of reviewers who write that it’s worth every single penny. There are lots of good points with this lens. The photos are sharp, as sharp as they could possibly be for a non-prime lens. And the 4-stop image stabilizer offers three modes of stabilization. What we have here is a quality, highly-flexible zoom lens that functions in all stretches of photographic fieldwork. It’s flexible because of its reach, ergonomics, and easy handling—without a tripod. The Ultrasonic Motor (USM) is not only fast but quiet too. This adds further to the lens’ overall appeal. 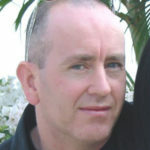 The focus is both reliable and consistent under normal conditions and a good selling point. Add fantastic Colors and military grade build to the above and that’s your Canon EF 100-400mm f/4.5 Telephoto Zoom. So what about the not so good points? Let’s take a look. The bokeh isn’t one of the lens’ best features despite the quality of its optics. Don’t let me put you off because it’s still pleasing to the eye. It’s just not as ‘creamy’ as other lenses in its class, that’s all. There are some reports of how the autofocus struggles (hunts) in certain low light conditions. It’s not a widespread complaint but then not all photographers shoot in low light. This lens is light—for a 100-400mm telephoto zoom. It’s well-balanced too. Yet smaller folks and photographers with tiny hands may struggle with its 53 oz. (3.3 lbs.) on longer shoots. The build quality of the Canon EF 600mm f/4L IS II USM Lens is nothing short of superb. It has to be. This puppy comes with a price tag that exceeds 11,000 bucks. The battle between Nikon and Canon rages on. Although I love both brands I think Canon has a slight edge over Nikon with high-end lenses. The one here is the ultimate for wildlife and sports photography. I can’t find much to gripe about with this quality piece of glass. Even the cost is justified if you have the money to spare or you make a living from your photographic endeavors. Another notable improvement is how light this lens is when compared to earlier models. It’s still big and heavy, but much less so. I like the new 3-mode optical image stabilization too. Let’s take a look at what others have to say about the Canon 600mm f/4 telephoto. People who buy the Canon 600mm F/4.0 are usually serious sports and wildlife photographers. They know exactly what they want from a lens before they jump in and buy anything. It comes as no surprise that most reviewers of this premium chunk of glass are happy campers. Many are also familiar with the predecessor—the 600 IS—and can make authorized comparisons. One thing reviewers pick up on is how much more maneuverable the IS2 is when used in tight spaces. Another thing people like is the new and improved tripod collar—great news for a heavy lens. Reviewers write about how the Canon 600mm f/4 EF IS II produces much sharper images with the 2x teleconverter. There are very few gripes and so owners of this lens have to nitpick to find any faults. One of these minor complaints is how the supplied lens cap is way too tight. Still, that’s a high-class problem on the scope of things. The quiet Micro UltraSonic Motor (USM) powers what is one of the world’s fastest autofocus systems for a lens of its kind. There’s also the option of manual override when you need it. Yes, this is a big lens. Yet its optical image stabilizing (IS) technology makes hand-held shooting much more doable at slower shutter speeds and thus frees the photographer and camera from the tripod. I want to say something about the lens’ promising fluorite optics technology too. Fluorite elements help to deliver much sharper images with far less chromatic aberration to worry about. 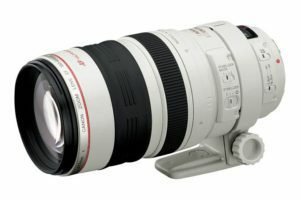 The Canon 600mm f/4 EF IS II also boasts improved dust and waterproofing. It achieves this by using rubber O-rings on the focus ring and the lens mount. Consider this lens if you need to bring your photography up-close and personal in ultra-high-quality. You could buy a small car for the price of this lens and it’s why Canon only makes a limited number of them. This also makes the 600mm f/4 EF IS II quite hard to come by. It’s a serious chunk of money for hobbyists. For professionals, though, it’s a justified tool of the trade. An f4 aperture with a fixed 600mm makes this a serious piece of glass. However, it would be great to see it with an f2.8. Wishful thinking—I know—but one can only hope. At 138.2 oz. Canon’s 600mm is easily the heaviest lens in my guide. It’s lighter than its predecessor but it’s still a hefty piece of equipment if you shoot without a tripod for long periods. The final gripe is that it doesn’t come with a front UV filter. It may seem like a minor issue but surely we can expect a few extras from Canon with such a mega-pricy product.